At netlogx we believe in challenging the status quo by carefully and deliberately assessing the risks inherent in complex enterprise information problems. If you are faced with complex challenges, we want to help, and then we want to inspire you to go further. meeting you at our booth! The annual Medicaid Enterprise Systems Conference (formerly known as the MMIS Conference) brings together thought leaders from the public and private sectors to share ideas and information related to Medicaid systems and initiatives. We are delighted to be attending the 2013 MESConference in beautiful Charleston and welcome the exciting opportunity to share ideas and initiatives. Visit us at booths 25 and 26! Enter to win a Google Chromebook! Our furniture for MESC 2013 has been purchased locally in Charleston and will be donated to My Sister’s House, a Charleston-based non-profit organization that provides relief for victims of domestic violence. New legislative mandates continue to be introduced. You must find ways to comply, using your existing budget, staff, and systems. 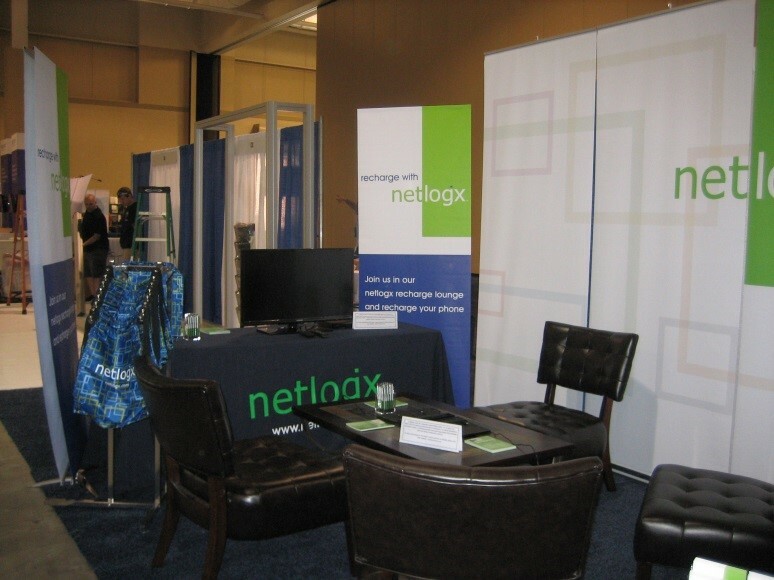 netlogx has extensive experience with ICD-10 assessments in both the public and private sector. Our policy analysts can help you assess the impact to your policies and financials, assisting you with the development of your ICD-10 implementation plan. Once the plan is in place, our project managers can help you put that plan into action. We have business analysts and data warehouse specialists who understand the business requirements and can assist you with: evaluating your reporting needs, developing reporting requirements, providing oversight during the change process, and assisting with the testing necessary to ensure that your reports meet your program needs. Our Lean Six Sigma Master Black Belts can help you evaluate your current business processes and reengineer them to leverage your technology, while aiming to eliminate waste and increase productivity. Our team of organizational change management experts can help your organization increase the probability of workplace success by preparing the organization, its leaders, and its people with the necessary confidence, skill, and support required by the desired business process changes. netlogx has policy analysts who specialize in Medicaid eligibility and health & human services. They are keeping abreast of the changing policies, continuing to analyze the impact this policy will have on your organization. We have project managers who can help you manage your HIX implementation plan. We can provide IV&V services to help you monitor your implementation project, identifying risks and helping to mitigate those risks quickly. netlogx has HIPAA and Security experts ready to help you conduct an audit. We can help you identify areas of risk and provide mitigation strategies to remediate those risks and issues now. As the scope of the MITA 3.0 SS-A is much larger than before, we strongly suggest that states start planning now. When replacing your MMIS, a successful procurement and implementation starts with proper planning and project management. netlogx has project managers who can help you manage your MMIS procurement projects. We have business analysts and subject matter experts who understand the MMIS procurement process. They can assist you with the options and cost benefit analysis and with the development of your Advanced Planning Document (APD) funding requests. They understand the processes of the Medicaid Agency and can facilitate the development of clear and concise requirements. We have procurement specialists who can assist you with writing RFPs and evaluation criteria to encourage vendor response and facilitate the proposal evaluation process. They can provide oversight and support throughout the procurement process from the release of the RFP through evaluation, selection, and contract execution. This team of project managers, analysts, and SMEs can support your implementation project, ensuring that the original goals of the procurement are maintained and met through the implementation of the MMIS. Special SMEs and analysts can support targeted areas of the implementation. For example, the data warehouse and claims specialists understand the business requirements and can assist you with: requirements validation with the vendor, user acceptance testing (to ensure that your requirements are being met), and overall oversight throughout the implementation. Audrey has served in the information technology discipline for over 25 years. Audrey founded netlogx, your trusted partner in mission critical information Risk Management services, in 1998. As Managing Partner, her unique skills extend into the areas of client relationship management, sales, and service delivery. As a consultant, she has focused on data and its provenance, providing organizations with practical and pragmatic approaches to understanding the key role data governance plays in leveraging data into actionable information. Currently, she leads the Indiana Enterprise Medicaid System Enterprise Data Warehouse Project for Family and Social Services Administration (FSSA) Office of Medicaid Policy and Planning. Nick is a partner in netlogx and has served as an IT consultant in Business and Health Care industries for 30 years, specializing in Information Security Management with an emphasis on Project and Program Management, Security and Data Warehousing. Nick has extensive experience in state government and health care, in particular Health Insurance Portability and Accountability Act (HIPAA), Medicaid Management Information System (MMIS) and Health Information Exchanges (HIE) from the data and technology perspective, while enhancing information risk management services for these projects. Nick is currently leading the State of Michigan Healthcare Reimbursement Initiative inside the Michigan PMO. Tom has served as a consultant in the public sector IT industry for 30+ years, specializing in large-scale project management, system procurements, APD development, contract negotiation, technology planning, and system implementation of Medicaid Management Information System (MMIS), Child Support Enforcement Systems and Integrated Eligibility (TANF/SNAP/Medicaid) systems. He served as Senior Procurement Consultant for the states of Connecticut, Indiana, California, Alaska and Wisconsin. Tom has directed the Integrated Program Management Office for the State of Indiana Family and Social Services Administration (FSSA) and currently leads the Indiana Enterprise Medicaid System (EMS) MMIS Replacement Project for FSSA Office of Medicaid Policy and Planning. Melissa is a Business Consultant for netlogx with over 15 years of experience in social service programs. Previously, Melissa worked in the field of MITA Self Assessments (Medicaid and Behavioral Health) and performed various duties in support of MMIS implementations. Most recently, she was the ICD-10 Compliance Project Team Lead for the State of North Carolina DHHS. Faye is a Principal Consultant at netlogx with more than 26 years of experience working with Medicaid Management Information Systems (MMIS) and other health care payer information systems and programs, specializing in MMIS implementations, assessments/alternatives analysis, procurement, MITA Self-Assessment (SS-A), JAD facilitation, testing, training and policy analysis with emphasis on Medicaid and Medicare initiatives. Faye has performed multiple roles for private health insurance payers and providers in the State of Hawaii, ranging from provider relations, marketing, claims processing systems and statistical analysis to installation of an Electronic Medical Records (EMR) System. Tara is a Project Manager for netlogx with over 20 years of experience in social service programs. She recently managed a Pharmacy Benefit Management transition from five vendors to one single source vendor for the Indiana Enterprise Medicaid System Enterprise. As a Business Analyst and Project Manager, she has proven to be a skilled and detail oriented value asset. Tara has served on both sides of state government, as a liaison between state vendors and state policy and business directors, and also as a consultant for the past 14 years. Tina joined netlogx as a Project Coordinator with more than twenty years of experience in insurance, training, consulting and compliance. Previously, Tina worked in the field of commercial insurance, public health policy and compliance, and application software training and consulting. Tina is currently working in a dual role as a Deputy Project Manager and Project Coordinator on a Healthcare Reimbursement Initiative for the State of Michigan. She also functions as a Business Analyst assisting with a Business Process Re-engineering project in Michigan. In the private sector, Tina is working with multiple hospital networks conducting ICD-10 Readiness Assessments and leading the charge to rollout enterprise wide ICD-10 training. Tina has the skillset and intuitive sensibility to add a needed dynamic to the teams she supports. Scott is a Project Manager at netlogx with over 20 years of experience in managing, implementing and finding technology solutions in a customer-facing environment. In his previous positions, Scott worked in the management consulting field, concentrating on manufacturing and healthcare. Most recently, he was a Senior Product Marketing Manager for a large software and services company, focused on providing business continuity and disaster recovery solutions for Windows Server environments. Diane is a Project Consultant at netlogx with experience as a paralegal in the legal departments of large healthcare and medical technology product development companies focusing on litigation, compliance, regulatory affairs and grant management. Diane is currently serving as the Grant Coordinator for Indiana Health Information Technology, Inc. with responsibility for compliance reporting, recordkeeping and managing the budget for a multi-million dollar federal grant supporting health information exchange with multiple subcontracts. Although with HIPAA and HITECH, the healthcare industry has some of the toughest privacy and security regulations, they are about to be severely tested by the changes in Information Technology. Not only is the rapid adoption of Cloud services muddying the waters, the move to allow individuals to use their own devices in the work environment (BYOD) and the demise of the PC in favour of devices such as tablets, smartphones and google’s chromebook will push these regulations and security measures to the breaking point. It is simply not good enough to threaten fines, it is vital that the industry recognize this situation and begin to solve the problems now, not once they are out of control. This presentation will explore some of the likely consequences of these changes as well as positing potential remedies and coping strategies. As states struggle within government constraints to build a Health Information Exchange (HIE) or Health Insurance Exchange (HIX), leveraging a public/private sector consortium provides a viable solution to quickly achieve progress toward meeting Federal and State goals. The panel will discuss Indiana’s success in designating a non-profit organization to lead the State’s efforts toward establishing a state-wide HIE through collaboration with five private-sector Health Information Organizations (HIO’s). Join us while we share the steps necessary for creating a consortium from the ground up, including defining the governance structure and securing funding sources. The State of Michigan embarked on their MITA 3.0 State Self-Assessment (SS-A) planning in the fall of 2010 with a strategy to incorporate the MITA framework beyond the Medicaid Enterprise. Michigan began a long journey creating an organizational plan to complete their SS-A while developing a self-sustaining model to maintain the SS-A over time and operationalize it beyond the minimal requirements. Learn about Michigan’s vision to develop a Business Process Management (BPM) Center of Excellence as we share our successes and challenges. As seasoned State Medicaid experts continue to retire, States struggle to fill the gaps. Do the states turn to the vendor community for assistance? Or, do they invest in the future through knowledge transfer and training? Join us for a discussion on the approach Michigan has taken to investing in the next generation of Medicaid experts. Are You Safe On-line? What you don’t know will send your bank details to Russia! Successful Procurement: Art or Science?